There is much controversy surrounding OJ and male rats. Can you give them orange juice? Is it really that bad for them? Why only males? What can happen? This blog article is to help answer any questions and resolve any confusion on the topic. 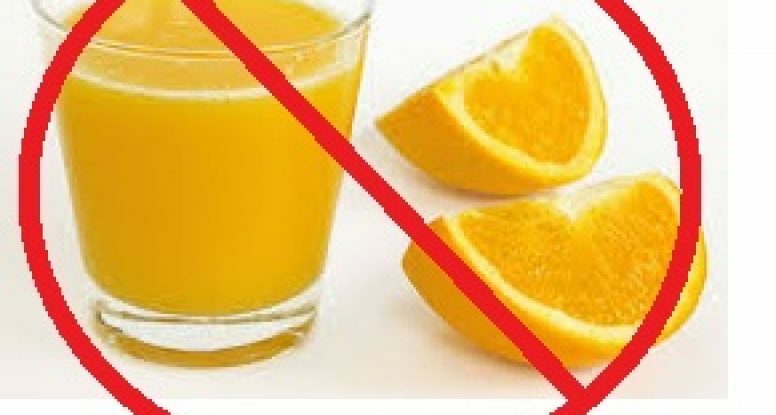 Why is orange juice bad? Orange juice is said to cause cancer in males rats. 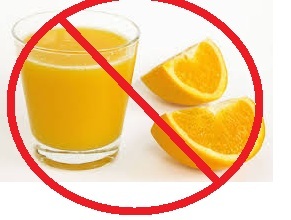 According to the Carcinogen Potency Project in Berkley, it was found that orange juice, specifically the d-limonene in orange juice, causes cancer in male rats. D-Limonene is a naturally occurring substance found mainly in citrus oils and is used as a flavor and fragrance additive in food, cleaning products, even shampoo. The substance can also be found in mangoes, another seemingly innocently healthy fruit. Caution should be exercised when offering table scraps with black pepper or nutmeg because they too have significant amounts of d-limonene. Why only male rats? Why doesn’t it affect females? Male rats have a protein in their kidney that no other rodent has called alpha2u-globulin. When a male rat has too much d-limonene, it causes the protein in the kidneys to build up which causes tumors (hyaline droplet nephropathy). Females do not have this protein and therefore studies have shown that d-limonene does not have the same affect on them. The only exception seems to be male rats of the NBR (National Bio Resource) strain that do not have alpha2u-globulin. As per James Swenberg DVM, Ph. D, University of North Carolina: ” It turns out that about two glasses of orange juice contain an carcinogenic amount of d-limonene for the male rat…” The Carcinogen Potency Project measures the carcinogen’s potency as TD50, the dose which will cause cancer in 50% of rats that have been administered d-limonene. The TD50 for d-limonene is 204 milligrams per 2 lbs of rat. The average human serving of orange juice is 6 ounces which contains 5.49 mg of d-limonene. This means a rat would have to consume 2 gallons of orange juice- as in consuming nothing but orange juice everyday for a couple months before this becomes affected with kidney damage. A mango contains 9.8 mg which would mean a male rat would need to eat at least 20 entire mangoes before getting cancer. From what we can tell, the d-limonene is mostly in the orange rind and gets into the juice either during the juicing process or as an additive. I would err on the side of caution and just exclude oranges of any kind from the diet of my males. Some may think that giving a small piece in moderation is okay but I just assume not to increase the risk. So how does my male rat get vitamin C? A rat’s body, like most mammals with the exception of humans, primates, guinea pigs, capybaras, and some bats, are able to make their own vitamin C. No supplementation is needed. Some other foods that do contain vitamin C that do not have d-limonene in them would be things like strawberries, broccoli, and rose hips which seem to be more accepted by rats than citrus fruits anyways. If you are absolutely insistent in giving your male rats oranges, cut off all the skin and give the rat the pulp only after rinsing it very well under running water. Note: What brought on this topic was my receiving of a bag of Brown’s Tropical Carnival Trail Mix Treat for Hamsters, Gerbils, Rats and Mice as part of my goodie bag from Blog Paws. As I do with anything I offer my rats, I checked the ingredient listing. That’s when I noticed that it contained “Fruit (concentrated orange juice, banana puree, strawberry puree, apple puree, pear puree).” Concentrated orange juice? That’s suppose to be bad for male rats! So needless to say, because I would rather be safe than sorry, this treat will be for my female rats only! Then it got me thinking, and I am looked at the ingredient list of some other FM Brown’s products I saw that mangoes are also added in a few. This just goes to show that its smart to look at the ingredients of any thing you offer your pet rats. While a treat here and there probably won’t hurt, there is always safer options out there.